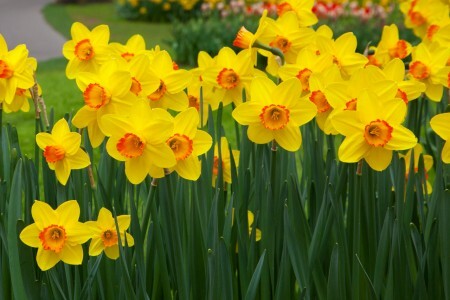 The daffodil, also known as jonquil or narcissus, is the birth flower for the month of March – a popular yellow flower that’s often associated with the Daffodil Day fundraiser. Native to Southern Europe, this fragrant flower was once believed to have healing powers. According to Greek Mythology the Narcissus flower came about when an egotistical young man drowned in a pool while staring at his own reflection. To many Catholics, however, the daffodil is a symbol of Easter and its German name ‘Ostergloken’ literally means ‘Easter bells’. It’s said the flower first bloomed during the resurrection of Christ and so it’s become a symbol of sorrow and hope.